Contrary to common beliefs, mastering is one of the oldest jobs in the industry going back to the beginnings of commercial recordings. Over the years it has evolved and diversified from a pure QC (quality control) task supporting the transfer process, to an integral part of modern music production. early all productions out there have undergone a more or less invasive process of audio mastering. The mastering engineer, through his lengthy experience in critical listening, will correct the errors and issues of a mix while enphasising its better qualities. In simple words, it will make your music sound better! Every studio and every engineer will have its own unique workflow and way of doing things. It is for this reason that you could give the same mix to two different engineers working from two different studios and get back two different sounding masters! Now, here is the thing, although sonically both masters will differ slightly, they all will play nicely on a wide variety of playback systems. Remember, this is the main goal of having your music mastered! Like other things in life, it is never simply a matter of being black or white and therefore some masters will sound closer to what your original vision was. That is why a lot of producers always use the same mastering engineer. They consider their ME’s work as a natural extension of theirs. 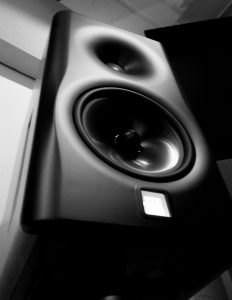 An ME, or a mastering studio in general, has a HUGE amount of responsibility. After the mastering process there is no way to rectify errors and mistakes besides doing a complete re-master. This is why extra care should always be taken when choosing the right mastering engineer for your project! Here at Swift we adopt a hybrid approach using both analogue and digital tools. Our analogue gear are some of the finest of the market which, allow us to add a lot of warmth and impact to your music. As every job we do is different, there is no standard practice in our workflow. We DO DO NOT USE AUTOMATED PROCESSES, nor do we undertake “painting by numbers” sessions by using templates. This is the only way we know how to keep up the high standards our customers expect from us.